David Zarza is a proven radio personality, with over 7 years of success. Whether leading and educating, co-hosting, or interviewing— David’s on air personality is dynamic, impactful and engaging. David was nominated in 2014 as “Best Local Radio Personality” in the Best of Western Washington competition for his show, Get Sophistigayted. Get Sophistigayted is a network favorite on Transformation Talk Radio, the online Radio Network of internationally known radio personality, Dr. Pat Baccili. This show aired live on Alternative Talk Radio 1150AM KKNW in Seattle, WA and on the East Coast via WBLQ 96.7 FM and 1230 AM. David’s shows have reached millions of listeners through syndication and online distribution via Spreaker, BlogTalk Radio and Voice America. 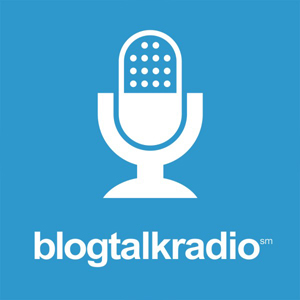 As of 2015, David is heading back to his roots and launching Trust Your Soul Radio on BlogTalkRadio.com. This dynamic show will feature teachings from David on spirituality and intuition, self-help advice, live on-air coaching, and powerful inspirational guests. David is excited to help his listeners and loyal fans create powerful change in their lives through helping them reconnect with their own inner spiritual wisdom. Make sure to stay tuned for more news from David Zarza, Intuitive Spiritual Counselor! 30 episodes from February 2014- February 2015. To listen to a show from the archive, simply scroll through the player widget below. Each show has a show description to help you find the exact show that suits your interest! 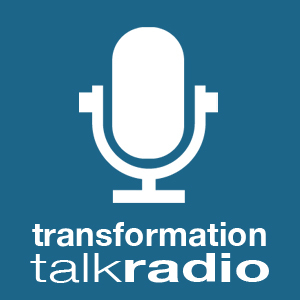 Get Sophistigayted is a network favorite on Transformation Talk Radio, the online Radio Network of internationally known radio personality, Dr. Pat Baccili. 35 episodes from July 2008- May 2009. To listen to a show from the archive, select a month. Each show has a show description to help you find the exact show that suits your interest! Directed Focus’ owner, David J Zarza, C.Ht., Mind Coach and Intuitive Consultant will be hosting the show. Sharing his perspective on having your life just the way you imagine it! Join David’s special guest Patrice Carington. Patrice followed her guidance to become an Award-Winning inspirational speaker and communication trainer. She has been communicating with angels since she was three years old, when she received her first “cosmic download” of information about Heavenly Relationships — relationships based in Divine love and Adoration. Join David and his special guest, Evelyn Vincent of Young Living Essential Oils and explore what choices are available to you for a healthier life. Evelyn definitely emobides the 7th Sense Lifestyle and how living this way impacts the way we relate to the Earth! 8/13/2008: Special Guest Daphne Domingo – Authentic Living with a Purpose! David is joined by Daphne Domingo from the Center for Authentic Living. We will explore coaching, authenticity, inner truth and shamanism. Join us for what will be a great adventure! Sharing his unique perspective on spirituality and health, David will take your calls to discuss subjects like hypnosis, the Mind, intuition, guidance, inner peace and ultimate success. Lilian has been studying and exploring the fields of consciousness, transpersonal psychology and vibrational healing over the past 11 years. Through her work she integrates various principles to educate and bring more awareness to the multi-dimensionality of our being and the fact that we are responsible and have the opportunity and choice at every single moment to shape at will our lives and the world we live in. 9/17/2008: Special Guest – Margit Crane, of the Gifted Teen Coach! Join David’s guest, Margit Crane. A former teacher and school counselor, Margit helps families with gifted teens and tweens release anxiety, frustration, and confusion. The result is better communication, increased self-esteem, more moments of success, and a whole lot more fun in their relationships with family and friends. She specializes in ADD and ADHD and is an acclaimed expert in family relationships, child development, and learning strategies. She speaks to PTA’s and Parent Networking groups and has been featured on Blog Talk Radio. Margit is the author of several books, including the forthcoming title, Gifted with AD/HD: Insider Strategies to Increase Your Child’s Happiness and Success. Margit offers a variety of phone and in-person consultation and coaching packages, including email and texting. Each is designed for maximum success with quick results, and is tailored for each individual family, anywhere in the world. 9/10/2008: Special Guest Melissa Wadsworth – What You Notice Matters! Join David’s guest, Melissa Wadsworth. She is a self-help author, speaker and conscious communications expert. She also publishes an e-magazine called “What You Notice Matters! Achieving Personal and Professional Abundance Through Awareness.” Join us to learn more! 9/03/2008: Special Guest Jennifer Manlowe, PhD – Your Life by Design! Join David’s special guest Jennifer Manlowe. She is the founder of Life Design Unlimited and calls herself an “outside the job box” Creative Career Counselor. She is also an author, educator, and Book Coach with over 20 years of experience helping people authorize their life and, if they want to, their first book. Jennifer’s joy is helping you find yours! 10/29/2008: Daphne Domingo, our favorite Authentic Living coach is back! Living an authentic life is important and essential for greater happiness and success. Plus, Daphne will also be providing intuitive readings for callers! 10/22/2008: Sherry Anderson of GROW is our guest! We will be discussing moving beyond loss and grief because life is too short to be sad! 10/15/2008: Join us with special guest, Ayhan Yavuz on Key Transformations! Remember, you are holding the key; use it to unlock your life. Denise has been one of my spiritual teachers for a couple of years now and she’s simply amazing! She is a gifted clairvoyant medium and healer, who bridges the spiritual and physical worlds to bring comfort, guidance, and practical solutions to her clients. Using her intuitive skills and a variety of techniques, such as psychic readings, clinical hypnotherapy, tarot, and numerology, Denise gives each person the insight and healing they need. Her vision is to empower individuals to find the heart and soul of their lives reconnecting them powerfully to their “source”. Join Shannon Faulkes, The Joy Counselor as we do readings, and talk about her show “The Joy Cafe” plus all the other wonderful things she does! Shannon is a clairvoyant psychic, Crystal Energy Healer, Angel Therapy Practitioner certified by Doreen Virtue, spiritual teacher, and artist. She specializes in Angel Readings, Past Life Readings, Aura Readings, Crystal Healings, and teaching her “Create More Joy” spiritual playshops. Shannon uses her natural amusement and compassion to deliver Divine spiritual psychic messages. Her main focus for her readings is to assist others to heal. Shannon reads the energy in present time. So, if you want an Angel Reading to find out what messages they have for you, or an energy scan to see what’s going on with your chakras be sure to give Shannon a call during the hour. She loves to be of service, and to help people to create more joy in their lives. 11/26/2008: Attitude of Gratitude Meditation! Gratitude and thankfulness are essential to allow into your life everything the Universe has in store for you. Join me in this brief meditation right before the National Holiday and raise the vibration for you and those around you! You’ll love it. 11/19/2008: Connecting with Spirit & Readings with David! The entire hour will be devoted to the spiritual side of life. So make sure to tune in, invite your friends and ask those questions you have for the Universe. Allow me to serve you today by giving you a reading, connecting you to a loved one or just sharing guidance! 11/12/2008: Iris MacAllister & Dexter, our guests share about the healing power of mushrooms! Iris & Dexter are wonderful friends of mine who are owners of LINJAHRIS Enterprises will be discussing the wonderful healing qualities of medicinal mushrooms. You’ll love our conversation! 11/05/2008: Kellen Griffin is Seattle’s premier Emotional Intelligence consultant and our guest! What’s your GiG? Kelleen Griffin has an MBA from Columbia Business School and a Masters in counseling from Johns Hopkins – a “working” coach and skilled advisor with a proven business track record. We’ll be discussing emotional intelligence, resilience, creativity and flexibility in life! 12/31/2008: NEW YEAR’S PREDICTIONS & READINGS SHOW! Today will be dedicated to delivering my predictions for 2009 – financial, political, international, entertainment and energetic – as well as tuning in for you to reveal what is in store for you this coming year. Join me for some enlightening conversation! 12/17/2008: Linda Munson, wonderful acupuncturist and energy healer! Join us today as we chat with Linda Munson, acupuncturist and energy healer. We will discuss how oriental medicine addresses our energy body and what other modalities Linda uses to help her clients heal! Call in and ask your questions, it will be a treat. 12/10/2008: Kris Steinnes on Women of Wisdom and the Divine Feminine! Kris is an author and an inspirational force in the Pacific Northwest. Join us as she shares her wisdom and insights today as we delve into the more Feminine side of life! 12/03/2008: Nancy Marlowe, acclaimed Medium and Friend will join us to share her gifts! Nancy is a dear friend of mine, Medium and Clairvoyant; much like me and I’m excited to share her with you, my wonderful listeners! Join us as Nancy share her gifts with us during this hour. Blessings! 1/26/2009: 7th Sense Coaching & Readings – Get Out of Your Way! Whether it’s stinkin’ thinkin’, sabotaging behaviors, or circumstance; I’ll give you the “how” on getting out of your own way in life! Always fun, surprising and enlightening…these shows truly energize me! Join me with any questions, requests or if you’d just like some Intuitive guidance. All issues are fair game – relationships, career and money and health & wellness. I’m looking forward to helping you. Blessings! 1/16/2009: Connecting with Spirit & Readings with David! I LOVE reading for my callers and that is all we’ll do in this hour. Bring your questions, issues and curiosity because we’re sure to have an enlightening and fun time! Blessings. 1/12/2009: 7th Sense Coaching & Readings – Your Purpose! Continuing our dialogue on “Purpose” we will explore yours! Always fun, surprising and enlightening…these shows truly energize me! Join me with any questions, requests or if you’d just like some Intuitive guidance. All issues are fair game – relationships, career and money and health & wellness. I’m looking forward to helping you. Blessings! 1/09/2009: Deciphering Your Dreams with Mimi Pettibone! Wonderful Dream Detective Mimi Pettibone will join our show this Friday to discuss the fascinating world of Dreams! Bring your curious dreams, puzzling images, or your querying minds to the show and ask Mimi anything. Always fun, surprising and enlightening…these shows truly energize me. Join me with any questions or requests. Allow me to provide you with laser-like coaching on whatever issue you’d like. Blessings! For this first show of 2009 I want to assist you in discovering your purpose! When we become aligned with our true calling, the Universe then conspires in our best interest. Let’s take those few steps forward, so bring your questions, your intentions and curiosity. We’re sure to have a great time! Blessings. 2/13/2009: Connecting with Spirit & Readings with David! 2/09/2009: 7th Sense Coaching & Readings – A Healthy You! It’s been said that the greatest contribution you can make in this world is to be a healthy you. Let’s explore this and the many aspects of your wellness! Always fun, surprising and enlightening…these shows truly energize me! Join me with any questions, requests or if you’d just like some Intuitive guidance. All issues are fair game – relationships, career and money and health & wellness. I’m looking forward to helping you. Blessings! 2/06/2009: Connecting with Spirit & Readings with David! 2/02/2009: 7th Sense Coaching with special guest Nina Durfee, founder of LifeSculpt! Join us today as we dialogue with Nina Durfee. She is a life coach certified through the International Coach Federation, owner and founder of LifeSculpt, empowering women to turn passion into productivity. She is a published writer and the author of FULL BLOOM: 7 Practical Steps to Get What You Want +1 to Grow on. She offers one-on-one coaching, workshops, and retreats around her 7-Step process. And she is a trained meditation instructor, teaching a technique she calls Peaceful Energy Meditation. Nina is a business school graduate with over 25 years’ experience as a paralegal and assistant to lawyers and judges. She knows firsthand the doubts and fears that accompany the choice to make a change, and she delights in helping women to live and work not by default but by design. Nina believes it is important to laugh, especially at ourselves. “Life is a work in progress,” she says, “and if it ever reaches completion there will be no place else to go, so we’d better darn well enjoy the ride!” Her guiding principle: Don’t take yourself too seriously! Her secret to success: Appreciation. For questions, information, or to schedule a free consultation visit Nina’s website at www.LifeSculpt.net, or email her at Nina@LifeSculpt.net. 4/24/2009: Evolving Consciousness through Our 7th Sense! Join David in exploring our Universe, your Soul and evolve Consciousness on the planet through our 7th Sense, beyond Intuition! With David’s laser-like insight into the workings of the Universe, your Soul and mastery of 7th Sense Coaching, bring your questions for clear answers. Want to know what your Shadow side holds for you? What are you wishing to know from the Universe? Whom would you like to connect to? 5/02/2009: 7th Sense Living-Dangers of People Pleasing! Join us as we explore becoming more in-tune with our 7th Sense. David will guide you on how to tap into your 7th Sense for greater success, health and deeper relationships with those around you and the Universe as a whole. With David’s laser-like insights, all your questions can be answered!